fOLLOW THIS LINK 4TH AND 5TH grade to practice recorder. perform for mrs. barton the week we return from spring break in music class! The musical is ALMOST HERE! 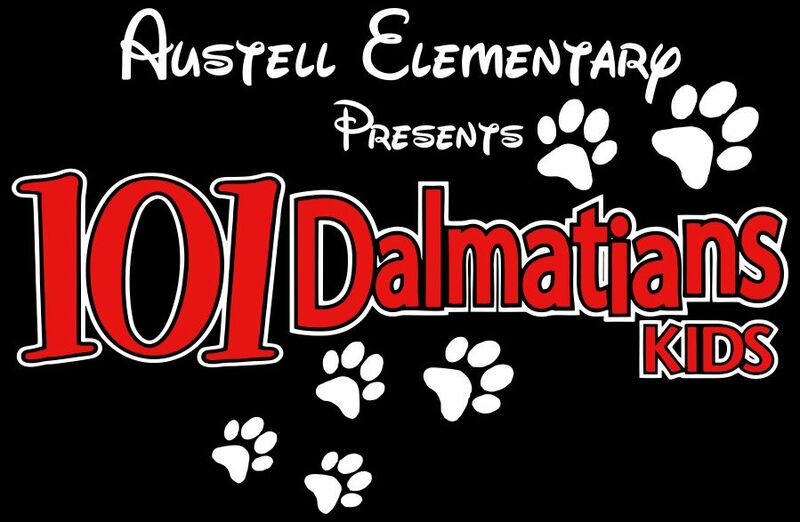 Next Friday, the 4th and 5th grade AUSTELL CHORUS will be presenting Disney's 101 Dalmation's, KIDS. Tickets are $5 and the show starts at 6:30 pm. Come out and enjoy the show! Please feel free to sign and return the two forms below. Please return by Friday, Jan.19th. 2018. Thanks! As our school year begins, I would like to welcome you and your family into the music community here at Austell Elementary School. We are very excited to have you here, and want to take this time to celebrate not only the hard work your child will put into the next year in music class, but also the skills that they will develop through their experiences in their ensemble. The lifelong benefits your child will obtain through music expand beyond the classroom and are transferable to every other academic subject. If you are interested in learning more about the benefits of music education, I would encourage you to visit: broaderminded.com. I also wanted to let you know about the various ways you can get involved in your child’s musical journey this year. • Encouraging him or her to practice, practice, practice! I would be delighted to go into detail about these opportunities with you in person, and I look forward to meeting you. Again, welcome to the musical family and I look forward to meeting you!